Sunday, April 13 marked the three-year anniversary of this blog! Although I’d been blogging – mostly about my kids – since 2006, it wasn’t until I launched Crow River Writer that I really got into my groove. I’ve loved sharing bookish and writerly thoughts and making so many lasting connections with other readers and writers. Thank you for reading my words, for your support and laughter over the last three years. And so, to celebrate, I’ve got a luuurve-y themed giveaway! 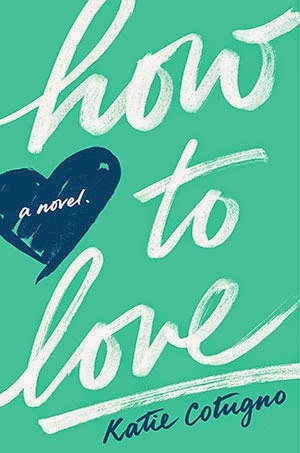 HOW TO LOVE by Katie Cotugno - a fantastic YA contemporary novel. Juju Hearts - one of the greatest candies ever. So tell me - what's YOUR favorite 80s movie? Ooh, Sawyer disappears ... The angst of love. Congrats on your blog b-day!!!! Favorite 80s movie... I'm torn between The Goonies and Troop Beverly Hills. Would you believe I've never seen Can't Buy Me Love? Eek! Happy Blogoversary, lady! Happy blogiversary, Sara!!! I love the theme. Ha. Loooove. ;) My favorite 80's movie is Some Kind of Wonderful. So good. :) I loved Can't Buy Me Love, too. Oh, and Pretty in Pink! Anyhow - kudos on so many years of blogging. Here's to many more!! Happy Blogoversary! My favorite 80s movie is The Breakfast Club.